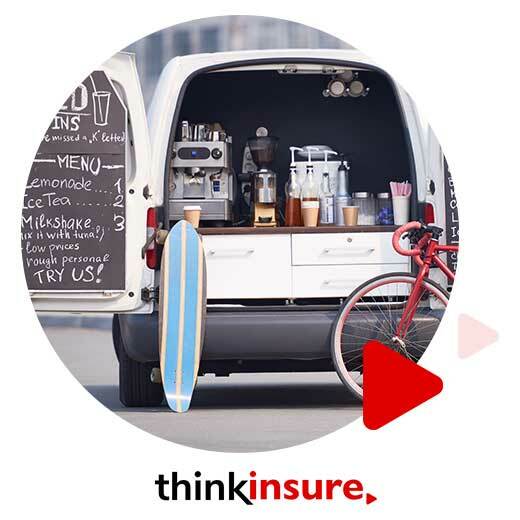 ThinkInsure, has been providing affordable commercial auto insurance coverage for Ontario and Toronto businesses for over 45 years. We are an independent insurance broker who partners with the leading commercial auto insurance companies. We can offer our customers a wide range of unbiased commercial auto insurance quotes and solutions to meet their needs and budget. 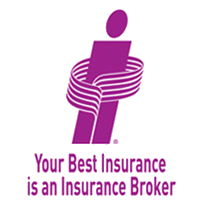 Learn about The ThinkInsure Broker Advantage and why we are the best choice to be your commercial auto insurance broker. We can save your business money : Why go anywhere else when you can save with convenient one-stop shopping for commercial auto insurance? We'll quickly compare the best quotes to get you the lowest rates. Sound good? Choose the best coverage for your business : With our large selection of over 40 insurance partners, we’ll make sure you get the best commercial auto coverage for your business needs. Talk with us today about your options. Expert advice and personal service : We understand that you are busy running your business. This is why we make sure you receive a dedicated broker to make sure your car insurance needs get taken care of in a professional and timely manner. Worry-free car insurance for businesses : Our team of licensed brokers strives to make commercial car insurance easy and worry-free for our customers. We’ll help you get the best insurance coverage so your business is protected. What Is Commercial Auto Insurance Coverage In Ontario? Many people are unclear about what commercial auto insurance is and how it differs from personal auto insurance. Commercial auto insurance covers vehicles like cars, trucks, vans and trailers that are used for business or working purposes. So whether you have a delivery business in Toronto, are a travelling salesman in Ontario, or are a local retail store that offers deliveries to customers, you will need commercial auto insurance for all the vehicles you use for business, even if it is only occasionally. A ThinkInsure licensed broker will be happy to learn about your business and commercial auto insurance needs. 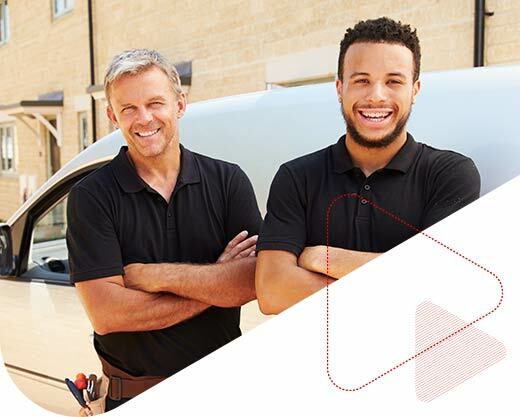 We can advise you on the different types of coverage options and help ensure that your business is protected adequately while helping you get the lowest commercial car insurance rates. Save today by getting a commercial auto insurance quote. We understand vehicles are crucial element of running successful small or home business. We also know that every dollar saved helps the bottom line. With our large network of insurance partners we can quickly shop and compare quotes from over 40 companies. We’ll get you the best price on commercial auto insurance for your business needs. We also know that every dollar saved helps the bottom line. Every dollar saved when you run a business is a dollar you can put to good use, and we can help you get the lowest rates for commercial vehicle insurance. With our large network of insurance partners, we can quickly shop and compare quotes from over 40 companies. We’ll get you the best price on commercial auto insurance for your business needs. Run a small business? Learn more about our selection of small business insurance solutions. Businesses need flexibility to succeed. Whether it’s with operations, cash flow, scheduling, and even commercial auto insurance, we know you need flexible solutions. Things change, and they can change at a rapid pace. You may need to make changes to your commercial auto needs – add a driver or a vehicle to your policy, or you may even change your business model and have a greater demand for business auto insurance coverage. Businesses need flexibility to succeed. Whether it’s with operations, cash flow, scheduling, and even commercial auto insurance, we know you need flexible solutions. Things change, and they can change at a rapid pace. You may need to make changes to your commercial auto needs – add a driver or a vehicle to your policy, or you may even change your business model and have a greater demand for business auto insurance coverage. Whenever you need us, we’re here to ensure you get the insurance coverage you need to protect your business – and give you the peace of mind in knowing your business is protected. Our team of licensed brokers are commercial insurance experts who spend the time to understand our customers’ insurance needs. We want to make sure you get the best coverage for your business so that you and your vehicle are properly insured in the event of an accident or other unforeseen situations. What Are My Commercial Auto Insurance Coverage Options? Not sure which coverage you need to include in your commercial car insurance policy? Contact our experienced brokers and we will be happy to talk you through the commercial auto insurance quote process. We get a lot of questions about whether or not you need commercial car insurance, especially for self-employed individuals and home-based businesses. Uber has also created a lot of questions about commercial car insurance and ride sharing insurance requirements. Your need for a commercial auto insurance policy largely depends on what you use your vehicle for. If you use your vehicle for any purpose related to your business operations, then you should explore your commercial auto insurance options. But don’t worry – we can help you with this! No matter how you use your auto, truck or vehicle for business, we’ll find coverage. We partner with the leading commercial insurance companies in Ontario and Canada, so we have access to many different types of coverage and plans to meet your business insurance needs. Commercial Car Insurance Vs. Personal Car Insurance – What’s The Difference? What is the type and size of the vehicle? Are you required to have higher business liability limits? The main difference between commercial auto insurance and personal auto insurance is that business auto insurance is designed for the needs of a business, has more specialized coverage for multiple drivers and tends to have higher liability coverage limits. Remember that some types of business use could be covered under your personal car insurance policy. But don’t make this determination on your own. Talk with one of our experienced commercial car insurance brokers today! How Do I Get Commercial Auto Insurance Discounts And Savings? With our network of over 40 insurance partners, there are many types of insurance discounts and savings programs your business may be eligible for. Our team of expert commercial auto insurance brokers will be sure to ask you the right questions about your business to ensure you get all the discounts and savings that are applicable to your business. We want to help you save your business as much money as we can. Multi-policy discount – save with having more than one business policy with a company. Telematics or usage based insurance discount - save with good driving habits. Please call us toll-free 1-855-550-5515 and one of our commercial auto insurance brokers will be happy to help answer any questions you have or compare quotes.